It has been a long while since I’ve posted anything here, and I have no other excuse than being busy and lazy. If I’m to make the most out of the money I’ve spent on the web hosting and domain name, then I better get serious with it. I’m starting that off by coming up with an updated design. 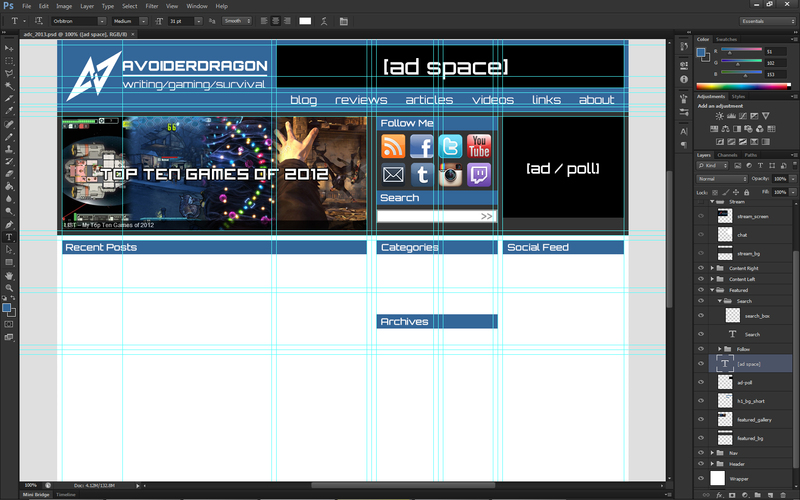 Here is the layout so far. There are two modes for the front page — normal when the livestream is offline and stream view when it’s online. Separate page no longer needed, you can watch the livestream right there. That only shows the final layout, but not the design. I’m still thinking of having a new look to it, since the current one looks rather plain. I’m not much of a graphic designer, but I’m quite inspired by the presentation of Deus Ex: Human Revolution, which I had been playing again. Maybe I’ll get to try out my new standard color #EDA720 (yellow), which I’ve chosen to go with #F43D3D (red) and #336699 (blue). This and the new 1200px layout were inspired by Steven “Destiny” Bonnell II’s website, which features a unique layout with a big livestream section since that’s what he does for a living. With this new design, it’s basically me being fed up with the standard 960px width I’ve been using as of the writing of this entry. As you know, I tend to write up pretty long posts, and I feel that the limited space provided by a 960px template is unsatisfactory. Another new change is the switch of fonts from Imagine to Orbitron. I think it’s cleaner and having lowercase letters makes for a more readable and visually pleasant design. I’m quite a sucker for all those sci-fi style fonts, and not everyone likes that. I’ve used BankGothic Md BT before because it was the main font used in StarCraft II, but it got old after a while. I started using Imagine since it looks cool, but I then saw Orbitron from Dead Space and quite liked how clean it looks. 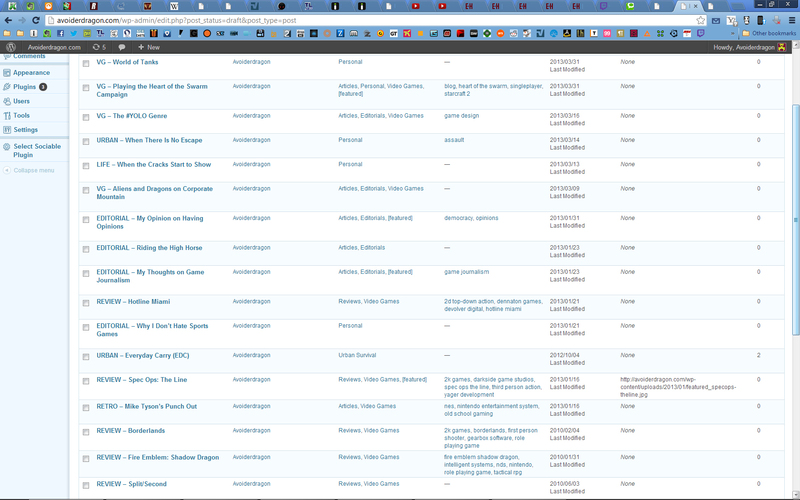 I’d still use Imagine for some parts of the site, but no longer extensively. Just look at how many pending drafts I have. The reason for having no new posts is just procrastination. It’s so hard to stand with a definite schedule for me, especially with my current living conditions. In any case, there is no other excuse that I can give other than being lazy, so I gotta step it up if I ever want this website to be any good. Same thing goes for videos. I’ve been meaning to post more content on my YouTube channel, but editing is a time-consuming process and I’m still quite inefficient. That’s something I’ll definitely have to rectify as well. In any case, I’ll make sure to post new stuff here shortly. This whole thing is mostly a one-man operation, and I intend to keep it that way. Perhaps you can help me with being more productive in this site by giving feedback whenever possible. I’d greatly appreciate it.